In an 11th-hour move, the U.S. 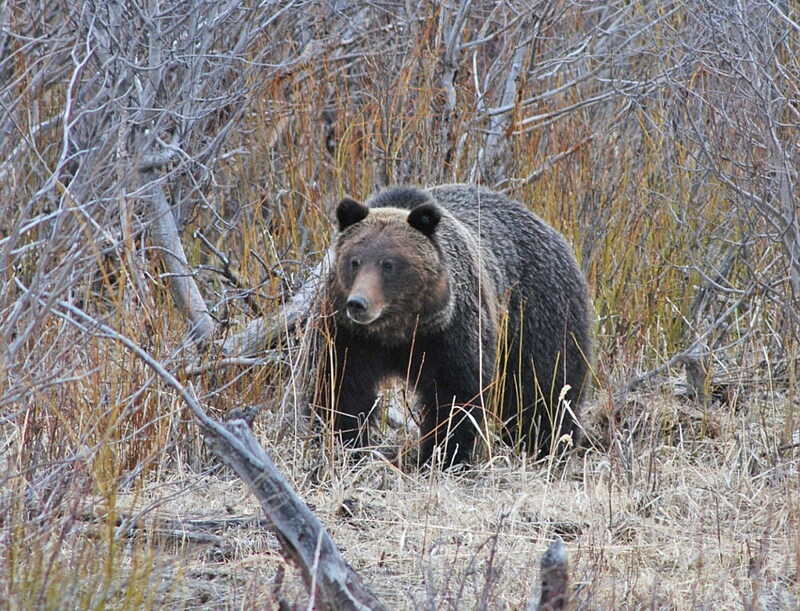 Fish and Wildlife Service filed an appeal Friday to remove Yellowstone grizzly bears from the endangered species list. Just before the Trump administration shut down government operations on Saturday, U.S. Fish and Wildlife attorneys filed an appeal with the 9th Circuit Court of Appeals, challenging a Missoula federal judge’s ruling that put Yellowstone grizzly bears back on the list of protected species. The Greater Yellowstone subpopulation of grizzlies, which is estimated to have about 700 bears, had been delisted last year, while other populations remained protected. The USFWS was running out of time to appeal Missoula U.S. District Judge Dana Christensen’s ruling, and some were expecting that the agency would not challenge the decision by the Dec. 21 deadline. That’s because the appeals process could last longer than the time needed to correct the several problems Christensen identified with the agency’s delisting action. Those problems included failing to consider how a Yellowstone delisting affects other subpopulations, not justifying changes in grizzly population monitoring, failing to consider the effects of climate change and a lack of connectedness between populations. But as the deadline approached, interveners including three states started filing appeals without waiting for the USFWS. Mountain States Legal Foundation appealed on behalf of its clients, the Wyoming Farm Bureau Federation, Wyoming Stock Growers Association, Charles C. Price, and W&M Thoman Ranches LLC. “If this decision is allowed to stand, it will be nearly impossible for USFWS to delist any recovered species in the future,” said Cody J. Wisniewski of Mountain States Legal Foundation, lead counsel on the case. Wyoming was the first state to file an appeal on Dec. 6, after being the first to schedule a grizzly bear hunt that could have potentially killed 22 bears this fall. On Friday, after Idaho joined in, Montana Fish, Wildlife & Parks announced it was filing an appeal. “Montana has long been a leader in conservation and now we have a unique opportunity to forge a path forward for these iconic animals that incorporates the diverse values of our citizens as part of a solution. Ultimately, a comprehensive and collaborative approach to bear management across the state is the best path toward a durable delisting rule and balancing the needs and goals of our state’s citizens,” said Gov. Steve Bullock in a statement. Had only the states appealed, the 9th Circuit would have probably not accepted the case. Under the 9th Circuit “remand” rule, the court rarely hears interveners in situations where the decision is sent back to a federal agency. But the USFWS appeal on Friday changed that. However, it’s not uncommon for federal agencies to file appeals by the deadline even if they aren’t prepared to appeal, said environmental attorney Bethany Cotton. The filing keeps alive the ability to appeal while attorneys continue to consider their options. They can then ask the justices to dismiss the case later. The government shutdown won’t halt processing of the appeal. Chief Justice Sidney Thomas has ordered all 9th Circuit employees to remain on the job.